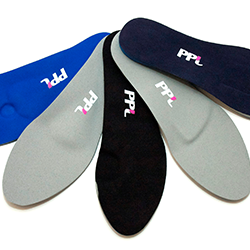 Orthotic devices are specialised shoe inserts which help to realign your foot and body posture. Orthotics help to off-load stress and prevent injury. Think of your feet in a similar way to the foundation of your home. A house relies on its foundations to keep it sound. Our feet are our body’s foundation. If our feet are misaligned or there is increased stress and force placed upon them (due to sport or prolonged standing and walking) this in turn can cause injury or wear and tear. Orthotics will help to rebalance any misalignment in our feet, off-load stressed areas and give better functional support to the structures above. Biomechanical analysis aims are to access gait, postural, flexibility and strength using advanced software which will help guide us in the direction best suited for the client. Using a pressure plate, reversible treadmill, biomechanical software, flexibility and strength tests to identify any misalignments, weakness, inflexibility and compensation during non-weight bearing, static and dynamic tests. If orthotic insoles are required a plaster cast of the feet may be taken depending on the type of insole needed.